Opponents of T-Mobile US, Inc.’s proposed acquisition of Sprint Corp. have reiterated their criticism of the deal in supplemental filings submitted in response to an FCC public notice released earlier this month. In the public notice, the Commission announced the stoppage of the informal 180-day clock on its review of the transaction to give parties an opportunity to comment on additional information filed by the carriers (TR Daily, March 7). “On February 21, 2019, and March 6, 2019, the Applicants filed significant additional information regarding their network integration plans for 2019-2021, an extension of their previously filed merger simulation analysis to cover the years 2019-2021, and additional information regarding their claims related to fixed wireless broadband services,” the Commission observed in the public notice released in WT docket 18-197. “As explained below and in the accompanying reports from the Brattle Group and DISH’s engineering experts, both filings rely on highly problematic assumptions about the combined company and fail to rebut the significant evidence in the record of this proceeding showing that the proposed transaction is not in the public interest,” Dish Network Corp. said in the redacted version of its comments. Dish also argued that the companies should not get credit for the planned in-home broadband service. It said that its benefits are exaggerated and even if they are accurate, they wouldn’t offset the harms of the merger to voice and broadband customers. In another supplemental filing, Liberty Cablevision of Puerto Rico LLC reiterated its plea for the FCC to adopt conditions on the deal. 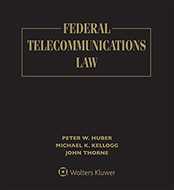 “To address the anti-competitive impact of the transaction on telecommunications services in Puerto Rico, LCPR requested that the Commission adopt conditions requiring New T-Mobile to: (1) enter into MVNO agreements with telecommunications providers in Puerto Rico on reasonable terms and conditions at its most favorable rates, with the presumption of long-term renewal; and (2) divest spectrum and facilities sufficient to maintain an effective and efficient competitive wireless provider in Puerto Rico,” the filing noted.